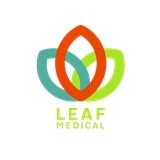 Leaf Medical, PLLC (Brooklyn) - Book Appointment Online! Leaf Medical is a multi-specialty practice developed to meet all the primary care needs of the DUMBO, Long Island City and Carroll Gardens communities- all under one roof. Leaf Medical is revitalizing healthcare while providing a variety of services from top doctors in New York. Leaf’s unique approach is to cater medical care to the busy professional who wants to be healthy. The practice makes it easy for patients to tap into a plethora of services including adult medicine, pediatrics and gynecology. Patient’s can even make multiple appointments in one day! Leaf Medical is affiliated with New York Presbyterian Hospital and has access to its premiere physicians. Join Us and Let's Grow Healthy! Dr. Mazza is the first doctor I've seen who I felt really cared about my needs. She took the time to sit with me and really discuss every aspect of my concerns. She was very friendly and funny but still professional. The office itself is also very nice. I will definitely be returning and recommending Dr. Mazza to my friends in the area. Wonderful! New to the city and lucky to have found someone so good on the first visit. I've been going to Dr. Sunwoo for ~3 years and she's been great, attentive, and has been helpful with what I wanted and with her guidance in general. Everything was phenomenal - zero wait time. From the receptionist, the nurse and of course the doctor, the hospitality and service was beyond amazing. This is going to be my and most likely my families primary doctor!! Thank you so much! !